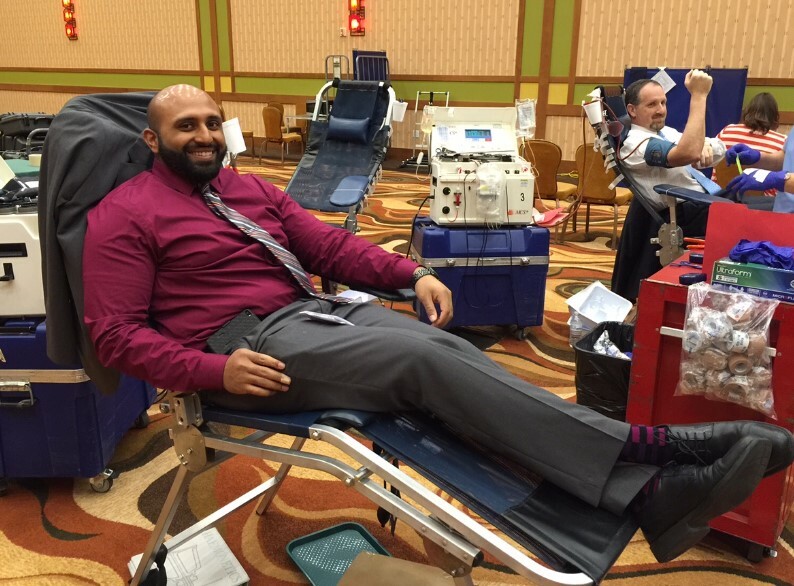 Niklesh Modi, assistant executive housekeeper for Pechanga, donates blood at a previous blood drive. Pechanga is giving the public a chance to give back by donating needed blood this summer. TEMECULA, Calif. – (July 18, 2018) – Summer usually spells fun for families, kids and vacationers. It’s also a time when blood bank supplies can be at their lowest levels specifically because donors are out doing other things. The LifeStream Blood Banks based in San Bernardino show that more than 500 blood donations per day are needed by the patients served by their organization alone. Pechanga gives the public an easy way to give blood and give back. Monday July 23 from 8 a.m. to 6 p.m., blood donors are invited to come in and save a life. In the process, donors can register for free to win a brand new Harley-Davidson XL883. Blood bank representatives recommend making an appointment prior to stopping in by calling (800) 879-4484 or by visiting LStream.org/expresspass. Donors will also be treated to juice and snacks. Donors must bring photo identification with them on Monday and those under 18 years of age must bring a signed LifeStream parental consent form. Three lives can be saved by one blood donation.